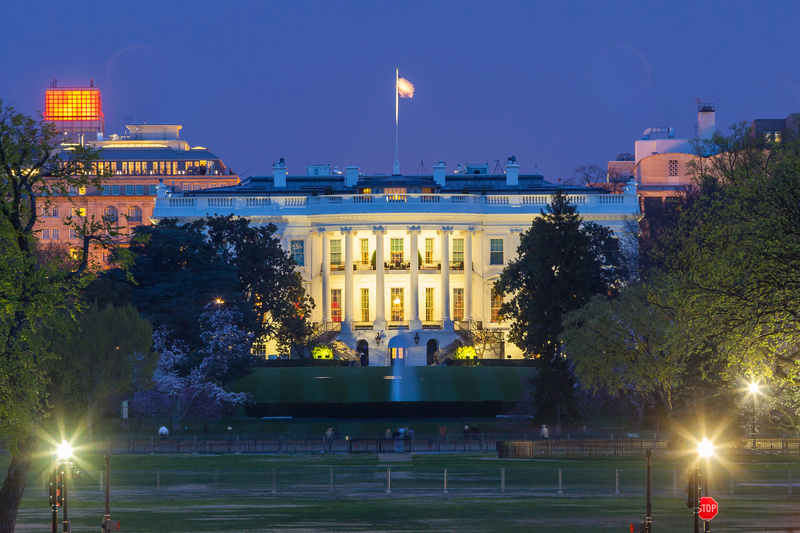 How Does Your Home Compare to the White House? The National Association of Realtors recently released an infographic that showed the White House compared to the average single family home in the United States. The infographic didn’t just show the obvious differences, such as the size of the homes, but it also looked at statistics such as the average length of residency in the home, too. Just for fun today, let’s look at the data from NAR’s infographic and compare it as best we can to military family homes. Make sure to share your comparisons in the comments below. If we gather enough good comparisons, maybe we can enlist MilitaryByOwner’s Christy Shields, the creator of the infographics in MilitaryByOwner's first eBook, For Sale By Owner: Is it an Option for You?, to make our very own infographic that compares our housing realties to the White House, too! The White House was built in 1792. The average home in the US was built in 1993. The average house on a military installation was built in 1982. 25% of military housing is over 40 years old. The White House is in an urban area. About half of all civilian families buy in a suburban area. A report conducted for the Office of the Secretary of Defense, Housing and Competitive Sourcing reported that 22 percent of military families live on base, 7 percent live in privatized housing (this number is rising since this report was completed), and just over 70 percent live off base. The average stay in the White House in 4 to 8 years. The average stay in a home in the US is 12 years! Military families typically only stay in one home for 2 to 3 years. The White House has a bowling alley, a swimming pool, a movie theater, and a jogging track. Military families are in good company! Every major military installation has the same amenities, too! Which brings up a good point – when is the last time you took advantage of the great discounts you can receive on these services on base? 50 percent of civilian families chose to buy in either the suburbs or subdivisions where they would also have access to similar amenities. The White House has a whopping 35 bathrooms! Unfortunately, if you go for a public tour, you better not need to use one of these because they’re all off limits! The average civilian home has 2 bathrooms. BAH determines how many bathrooms a military family can have at each duty station! The White House has a total of 132 rooms. The average US home has 3 bedrooms. The DoD Housing Standards set BAH annually to provide for at least 2 bedroom homes for an E-5 or O-1. An E-6 with Dependents and O-3E without Dependents receive a BAH amount sufficient to cover a 3-bedroom townhouse or duplex, while a W-3 and an O-6 receive an amount sufficient to cover a 3-bedroom single family house. Service members who live on base, however, can typically receive a larger home, as home sizes on base are based on family size and rank rather than their civilian earning equivalent. Also, the homes on base are generally larger than those in the civilian community, too, according to the DoD BAH Primer. If you’d like to compare your house with the White House in person, then—despite a seemingly popular recent trend—you don’t actually need to jump the fence to do it. My husband and I recently visited the White House and the process itself was quite simple, but it required pre-planning. First, go to the homepage of your congressman (make sure to go to the page of the congressman from your home of record/where you vote, and not for where you currently live but are not registered to vote), and follow the process for requesting a tour. A staff person from that office will be in contact with you to request your information. As you will need to provide your social security number, you may want to consider sending the information through a secure email, such as the service member’s. If you want to schedule a Saturday tour, the current wait time is up to four months in advance. You can schedule up to six months in advance, but you must give at least 21 days' notice. When you arrive for your appointment, make sure to have read the touring information from your congressman’s office in advance about what you may not bring inside; for example, you may not bring either a purse or a stroller. Several people in our line had to miss their tour while waiting outside with purses from their group. After waiting weeks or months to visit, you don’t want to then stand in line to get inside the White House (which can take a couple of hours, so be prepared) only to be left standing outside waiting on your family and friends to finish exploring.